Top 10 Great Ways to Increase Computer Laptop Speed Many people get annoyed due to the hanging of the computer and laptop are slow. People with slow computer can not do their work on time. At the end some people get rid of this problem by formatting their computer laptop to speed up but sometimes our required folder files are deleted due to the format so here I am telling you some ways to slow down the computer Laptops can speed up without formatting. Even if the speed of your computer laptop is slow you will also want to format your system but if you want to speed up your device without formatting keep reading this post. In this post we are telling you some such tips. You can increase the speed of your computer laptop without any hassle. speed of your slow computer laptop let's know about those important tips. By following these tips you can speed up your computer laptop system without formatting it as well as with the help of these tips you can save your system even by hanging let me know these tips without time waste. Most important if you want to increase the speed of your computer laptop keep the recycle bin folder always empty. Often many users are free to delete any folder or file or an icon from their computer. However if you do this the deleted data file document is saved in the folder recycle bin of your computer laptop and if you have to speed up your system keep this folder always empty. How to Clean Recycle Bin Folder ? Go to the Recycle bin folder right click on the Empty Bin option. If you have deleted a file from mistakes then you can see that file here. Now press the Shift + Delete key button any of your files will be deleted forever. The most important C drive from your computer system's drive is that it is a part of your hard disk and in this drive the necessary software is stored in our system. Without a C drive your system will not be able to run, therefore this drive is most essential for your system. Do not keep too much data in this drive and yes do not keep any of your personal data in the c drive. Often new computer laptop users install more of the start up program on their system, and by doing this the speed of our system is slow Start up program is what happens on our computer itself. Such as Analog Clock, Screen News Feed, G-Talk, Skype, Bit Torrent etc. How to Uninstall These Program ? 1. First go to the Start menu or you press the Windows key + R.
2. Now the window which will open will let you type "msconfig". 3. Now click on start up tab and remove the program from the list which you want to uninstall. This way you can uninstall additional start up program. This can be the biggest reason for the slow speed of the old computer so it is important to change the hardware in the old computer so that you can increase your computer system's RAM. You can change its cable, sometimes the port in the system stops working, if your computer's speed is slowing down then you get the hardware check done. It is not certain that your computer has a problem in the hardware, sometimes it also comes in problem software so check it once. Our computer's operating system always keeps changing some of the PC's system files. Some of these files are such files that are corrupted after the system update. These files are not of some kind of work which keeps additional extra in the computer system we can also delete this extra files and even if they can repair it ? How To Check Corrupt Files ? 1. To check Corrupt files, go to Control Panel >> Programs >> Uninstall and Change programs. 2. After reaching here you can remove corrupt files from PC or repair the "System Files Checking" help. When you use Internet viruses and malware come to your computer system that make our computer slow and due to these viruses the system needs antivirus. But according to PC just 1 register antivirus is enough. In this situation installing 2 program or any separate firewall program will slow the system speed. Programs such as antivirus or firewall take more power so if we install 2 antivirus or firewall then the speed of our computer system is very slow. In this case if you want to increase the speed of your computer laptop just install an antivirus that will not slow your computer system and speed will also increase. If you want to increase the speed of your computer, then extra waste can increase the speed of computer by removing all the antivirus and visuals that do not work. There are many antivirus save in PC which is extra which are not used which are extra in memory space. If your PC's internal memory is low then it would be best to delete such software. Along with, if you are using animation effects or visuals and you like an item like live screen saver then all of them can also reduce the speed of your computer. If the memory of your computer laptop is low and you want to increase the speed of your computer then it is better not to use them all. Many computer users are hooked to the HD game if you are one of them then these tips are important to you. With these tips you can increase the speed of your computer. If you are a gamers then you should continue to upgrade your computer's drivers. Queue drivers are those programs that work on running any hardware. When we take a new computer new drivers come which are some time after which if you want to speed up your computer then keep updating time to time drivers. If you want to speed up your personal computer keep your desktop clean. Keep files on the desktop according to the need Files which are saved on the desktop are saved in the direct c drive. These files have a bad effect on our computer's speed and speed gets slow and if we keep more files on the desktop then RAM will be more costly. That's why if you want to increase the speed of your computer do not keep extra files on the desktop. You can save those extra files in any other drive. Internet usage in the computer system comes from viruses and malware that slow down the system if you want to avoid it then always use register antivirus. Also, keep track of your computer system from time to time and keep your computer system's internal memory empty as long as possible which is software extra. Doing so will not slow your computer system and also increase the speed of your system. 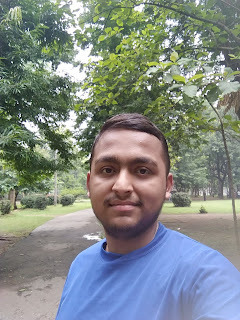 Finally friends I have told you here about 10 tips to increase the speed of computer laptop hopefully you can increase the speed of your computer by following these tips. 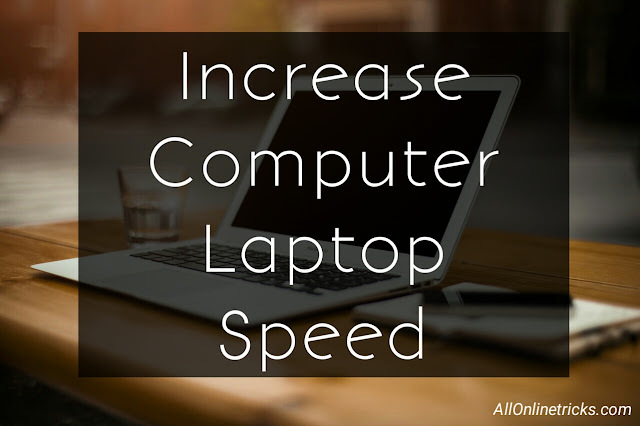 If you know any other tips for increasing the speed of computer laptops in addition to these tips tell them in the comments and tell them how they should be noted. If you enjoyed this post then share it with all your friends on social media.